El Rancho Supermercado is a full service Latino Market located in Castro Valley, CA. 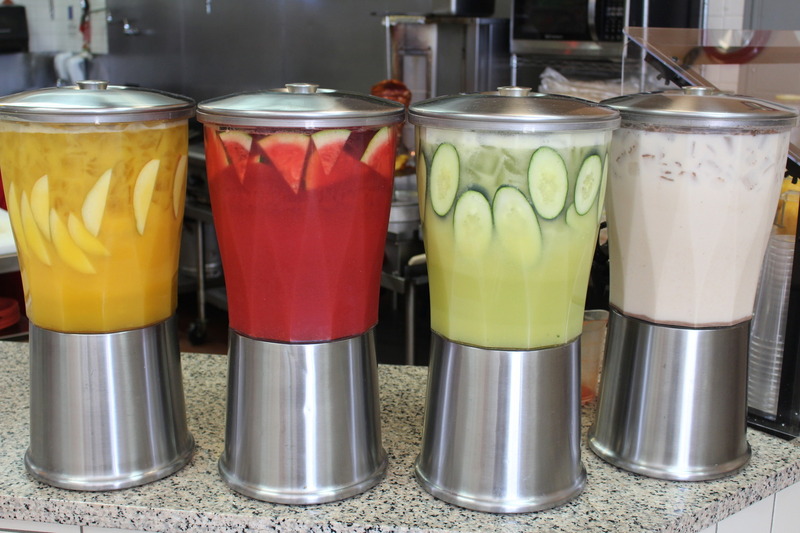 We specialize in Mexican and Central American products. 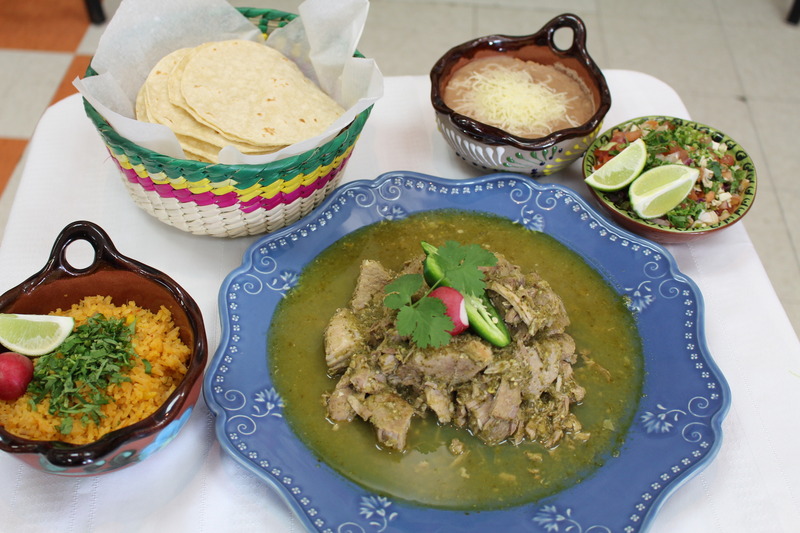 We have a full service Butcher Shop, Produce Department, Taqueria and Grocery section. Our mission is to serve our community with the best possible products made of the highest quality. We are family owned and dedicated to serving the needs of our community. We ask you to stop by and experience the difference. We know you have variousl choices to fulfill your grocery needs and we appreciate your patronage. We open our doors every day wishing to provide you with the utmost quality and service. 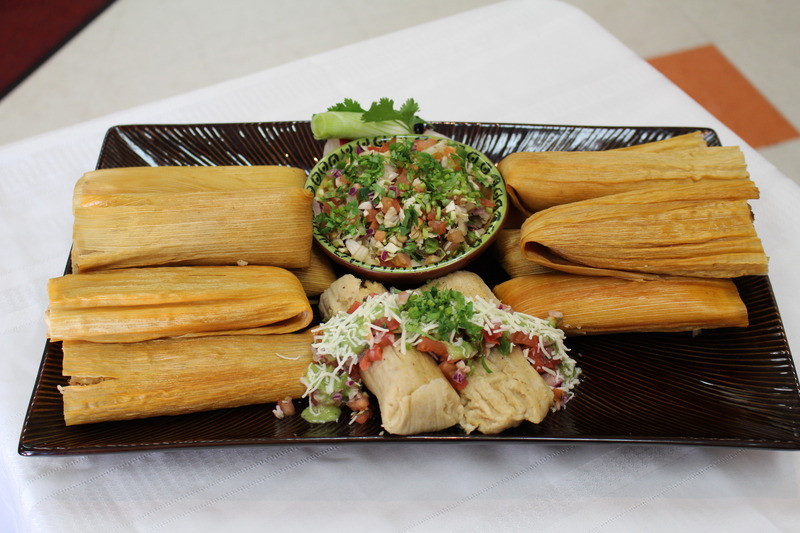 Come try our mouthwatering Taqueria delicasies. Don't forget to load up for your next barbeque. Remember, we offer full cateting for your next home or office event. Catering Made Simple, with Our Catering Packages! We are the first to acknowledge the increasing prices of red meat; however keep in mind we work every day with our distributors to keep prices the lowest possible for you. Thank you for your preference. Craving the goodness of a burrito, but you are looking to cut down on carbs! Try our delicious Burrito Bowls. Freshly prepared in front of your to order. Hosting a back yard party, stop by our Taqueria to pick up your order of a dozen soft or hard shell taquitos. Don't forget your guacamole, salsa and lots of chips. 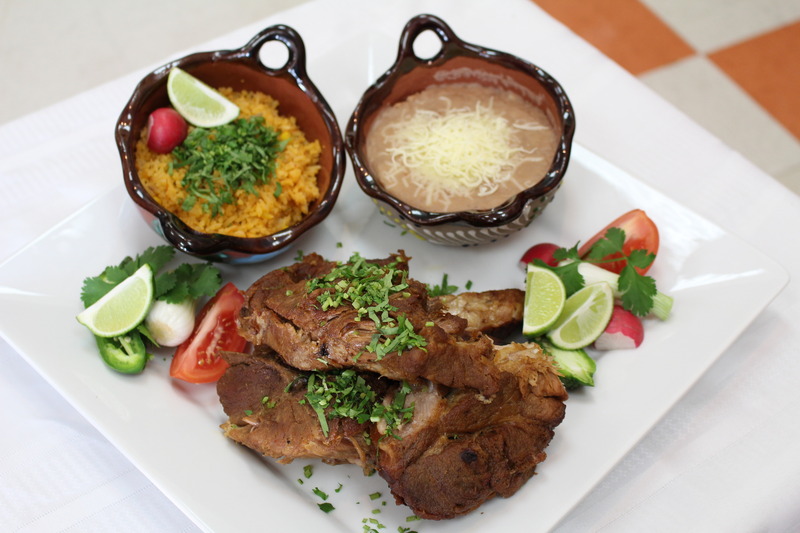 Want to Barbeque but do not want to sweat over preparing everything, pick up our ready to cook meats from the meat counter, salsas and sides of rice and beans from the Taqueria. At work or home thinking what are we having for dinner tonight! For half the price of dinning out, consider our family packs, which can feed up to 10 people each. Simply call 1 hour ahead and we will have it ready for you to pick up in a to go bag. 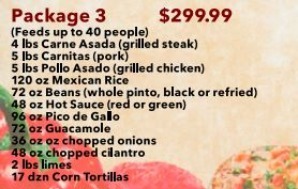 At these great prices, you will spend your time enjoing your guests and not slaving over the hot stove. Are you in a lunch rut? 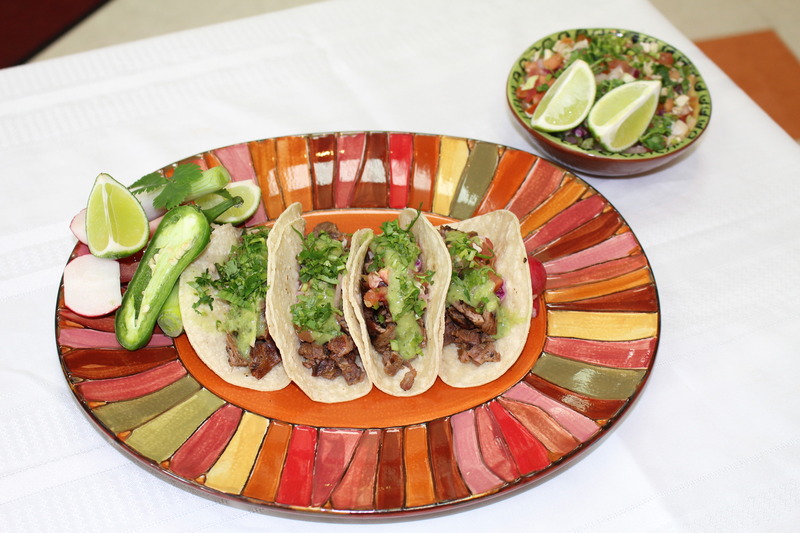 Stop by our Taqueria to savor some freshly prepared Mexican food. We prepare your item(s) infront of you to order. We know your time is valuable and will get you back to work ASAP. Taquizas Catering! Our version of a taco bar where you choose your types of meats, sides and salsas. You and your guest prepare your own tacos buffet style. Click on the button below to see our Catering menu.